In everyday life, stress is a bad enemy of our beauty and wellness but with the right cleanser, lotion or body treatment, we can easily forget a bad day and enjoy a special relaxing moment. Take a look at the beauty products I selected for you this week: they take care of you like guardian angels, they’re cuddles for your body and your soul. Are you ready to reach Heaven? Maybe this cleanser is strange at first sight but trust me, you will love it! Just add some water to a piece of this solid to turn it into an amazing cleansing milk; thanks to almond, kaolin and lavender, this milk leaves your face skin soft and divine. 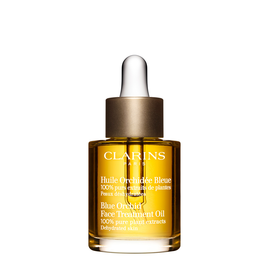 If you’re stressed because of your dry skin, say ‘welcome’ to this “magic” oil by Clarins: it features 100% pure plant extracts to moisture, tone and revitalize dehydrated skin. Drops of heaven for your skin whenever you want! When you ask for love and protection, Hedera may be the right choice. 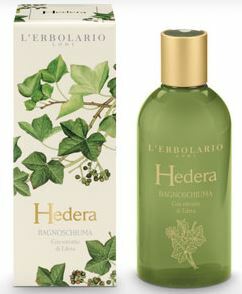 At the end of a bad day, just take a bath and let Hedera embrace you with its freshness, for a very special moment of wellness. You have walked all the day wearing uncomfortable shoes and your feet are definitively knocked out?! Don’t worry, because you don’t need a miracle to revive them: just do a massage with this peppermint lotion and your feet will be light as feathers! So which product is your favourite guardian angel?